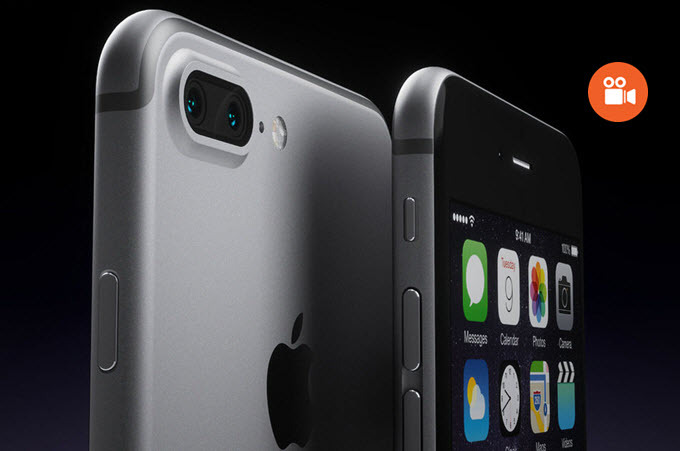 Finally, the long-awaited iPhone 7 is going to be unveiled on September 7th. This sought-after device will provide iOS fans with dual camera for taking better pictures and more powerful RAM to operate apps like games they fancy so much. And as many iOS users love to capture their screen while playing games or making video calls for the sake of enjoyment and wonderful memory, ways to record iPhone 7 screen would be of great help for them. 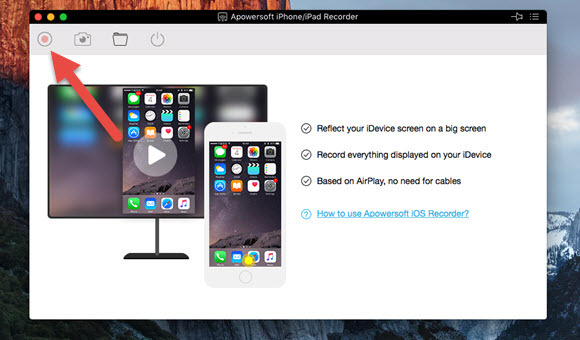 This iOS screen recorder would help you to stream and capture the screen of your iOS device on computer screen with no need of lightening cable or jailbreak. It is compatible with both Windows and Mac. It can record what is happening on iPhone 7 screen along with audio from system sound and microphone. Follow the details to get a better understanding of how to record iPhone 7 screen with this tool. Download a proper one for your computer (Windows or Mac) and launch it. Make sure your iPhone and PC are under the same network before running the application on your computer. 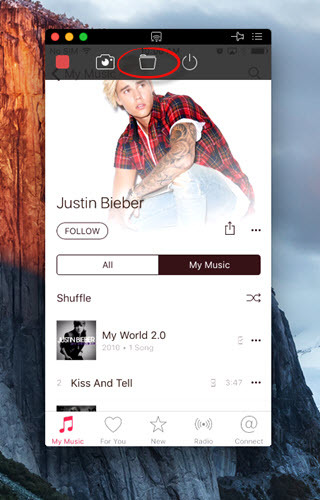 Slide up to tap “AirPlay” on your iPhone. The username of your PC will pop up. Hit it and enable “Mirroring”. Then you can successfully display iPhone screen on PC. Click the start button to record screen activities running on your iPhone 7. You can see the video on open folder when recording is finished. Aside from the main function of screen recording, you could also hit screenshot button to make a quick screenshot from your iPhone 7. QuickTime is also an option used widely by iOS users to record screen on iPhone 7. It is a built-in video player for Mac which provides official support to record iPhone screen. So iPhone 7 is no exception. It can cast iPhone 7 screen to Mac if you want to watch videos on a bigger screen and record whatever goes on iPhone 7. Just follow the steps and you will find it easy to do the thing. Connect your iPhone 7 with Mac via lightening cable. Trust your Mac if “Trust This Computer” appears. Open QuickTime Player to click “New Movie Recording”. Choose iPhone 7 and the screen will be displayed on Mac. 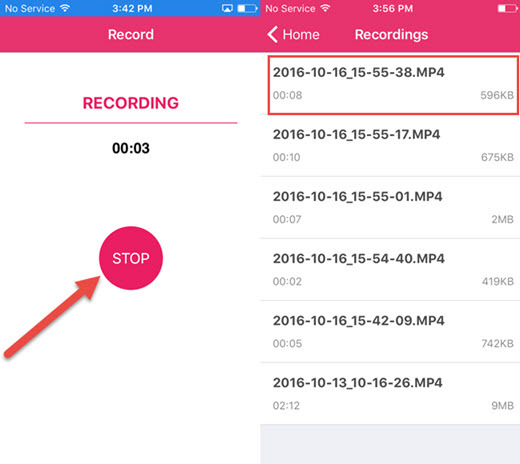 Hit the recording button and your operations on iPhone 7 will be recorded. Click “File” and hit “Save” when you finish recording. Recording iPhone 7 screen is easy for Mac users. But it could record no audio sound but only from microphone. Using a lightening cable is a must to capture screen, which is also inconvenient for users who want to keep distance from computer. This app is free from jailbreak, which could directly capture any screen activities on your iPhone 7 without a lightening cable or a PC. It also offers you with various types of orientation and resolution. However, you would spend some time installing it as you cannot obtain it directly from App Store. So follow these steps below to get things easily. Open Safari on your iPhone 7 and enter into this link: emu4ios.net. Find AirShou and tap it. Hit “Get” to install. 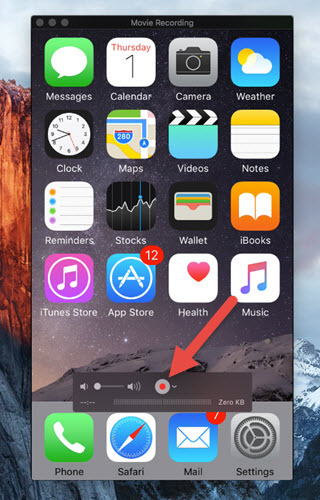 Since installation is over, hit the record button and slide up to tap “Airplay Mirroring”. Then the recording will start. Any activities on your iPhone screen would be recorded then. You could view your videos on “Recordings” when screen capturing is over. Absolutely, the recorded video will be better if you make some further editing jobs. Presently, it’s quite popular to add some effects to video, such as filter, transition, effect and layout. It’s fairly easy to do this job, only if you have a workable media file editing program. 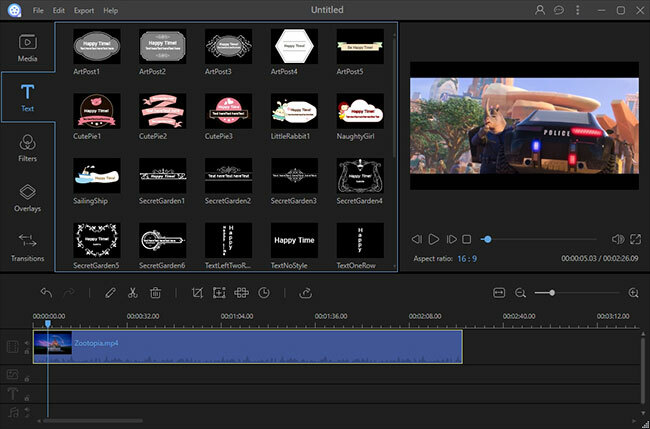 ApowerEdit is a professional video editor that empowers users to customize media files based on their preferences. You may add the video to program and then right click the item and then add it to timeline. Upon the timeline, you can add any desired editing options from the tabs of Text, filter, transition and layout. This program can be downloaded by clicking the button below. These three iPhone 7 screen recorders all offer simple operation for users to experience. In terms of their different features, iPhone 7 users could choose the one which suits them most according to their own requirements.